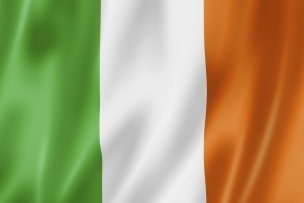 The Republic of Ireland (ROI) covers an area of about 70,000 sq km, with 26 counties occupying five-sixths of the island of Ireland in the North Atlantic Ocean, west of Great Britain in the extreme north-west of the European continent, and on major air and sea routes between North America and northern Europe. The land is mostly level or rolling interior plain surrounded by rugged hills and low mountains, with high sea cliffs on the west coast. Ireland is the UK’s fifth largest export market and imports more from the UK than any other country. The UK accounts for 30% of imports into Ireland. In 2014, exports of goods plus services from the UK to Ireland totalled £27.86 billion (United Kingdom Balance of Payments – The Pink Book: 2015). Ireland is the UK’s largest export market in food and drink, and second largest market in clothing, fashion and footwear. Trade in other sectors continues to grow. Two-way trade stands at over EUR €1 billion per week. Ireland is an ideal first-step market for UK companies, ranked 17th out of 189 in the World Bank’s 2015 Ease of Doing Business index (the UK ranked 6th), and although economic challenges remain, Ireland’s GDP is forecast to continue growing in the next two years. 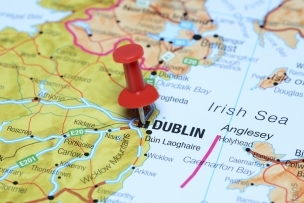 The Central Bank of Ireland has forecast GDP growth of 4.8% in 2016. 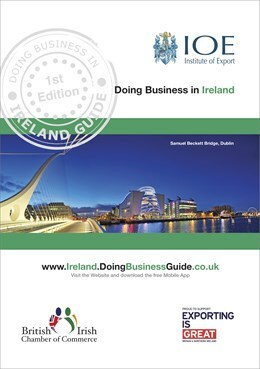 The main objective of this Doing Business in Ireland Guide is to provide you with basic knowledge about Ireland; an overview of its economy, business culture, potential opportunities and to identify the main issues associated with initial research, market entry, risk management and cultural and language issues. We do not pretend to provide all the answers in the guide, but novice exporters in particular will find it a useful starting point. 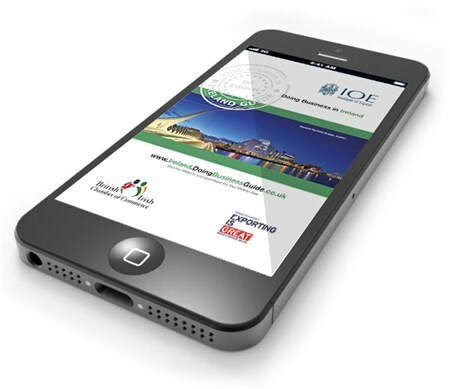 Further assistance is available from the UK Trade & Investment team in Ireland. Full contact details are available in this guide. To help your business succeed in Irealnd we have carefully selected a variety of essential service providers as ‘Market Experts’. 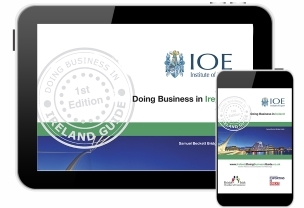 Doing Business in Ireland Guide Market Experts - Please click on the logos below to view our Market Expert profiles and to find out how they can help you to succeed in Ireland!